George Sumner Thompson was born in Hamilton, MT on February 27th, 1931 to George and Rena Thompson. 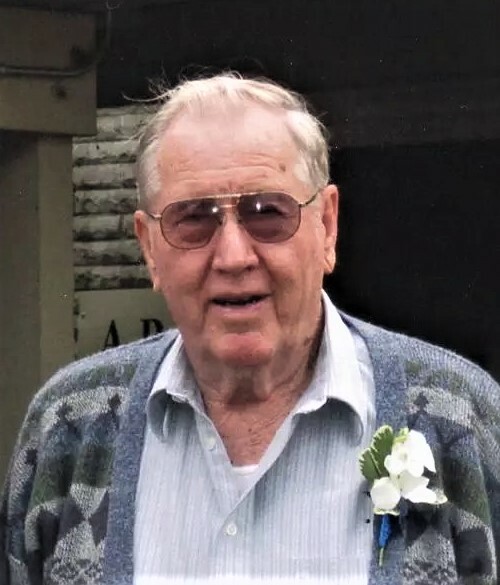 He passed away on September 6, 2018 in Kalispell, MT. He was raised on a farm near Hamilton and was active in 4-H and FFA. He graduated from Montana State College with a degree in Agriculture Education and was active in the Men’s Co-op and Association of Independent Students. He also met his wife, Helen, at a square dance in Bozeman. They were married for 64 years. George was a soil conservationist in Chinook, Culbertson, Carrington, Colstrip, and Browning. He was active in the Lions Club and Boy Scouts. George and Helen retired to Lakeside where he worked to the Lakeside Water Department. He was active in NARFE and member of the Lakeside coffee club, High Rollers. He is survived by five children, ten grandchildren and two great-grandchildren. He is preceded in death by his wife and sister, Jean Thompson. A memorial service will be held at Buffalo Hill Terrace at 11:00 am on September 29th, 2018. Friends are encouraged to visit our website at www.buffalohillfh.com to leave notes of condolences for the family. Buffalo Hill Funeral Home and Crematory caring for the family.